Makeup Wars: My Favorite BB Cream. BB Cream is probably the biggest type of launch that hit the US market over the last year or so. All of us girls in the Makeup Wars have tried our share of BB Creams and we are here to each share our favorites this week. So, which is my favorite? That is a tough one. While I like the BB Cream in theory, I have had a really hard time of getting one that meets what I want as far as coverage, plus skin care benefits. If I were judging this by consistency, feel and skin care benefits that I saw, I would rate the Dr. Jart+ Water Fuse Beauty Balm as my favorite. It was everything I expected from a BB cream, except it is too light for my skin about 90% of the year. I can't wear it. That's why I am choosing the BB Cream that I wear most as my favorite. I choose this for color, coverage, skin protection and benefits. My favorite? 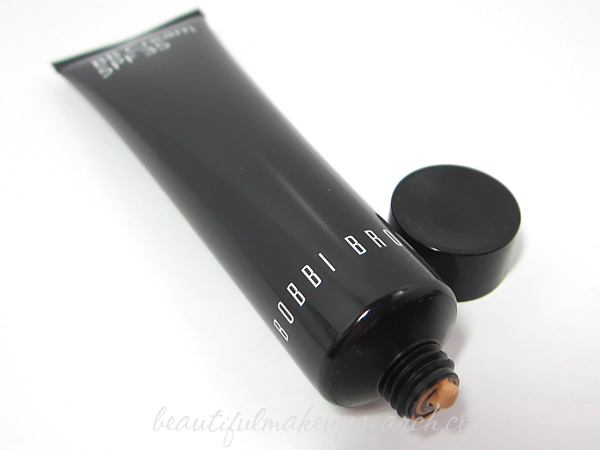 Bobbi Brown Cream SPF 35. Bobbi’s new BB Cream is a skin care/makeup hybrid that combines moisturizer, treatment, SPF and foundation all-in-one. Plus, this unique skin tone correct formula leaves skin looking flawless and perfectly natural. Over time it provides long-term benefits too. Skin is brighter, more even; fine lines are diminished; redness is reduced and pores are minimized. The SPF boosts the formula with daily protection against harmful UVA/UVB rays and environmental hazards, which is extremely important for daily wear. It has a mid-range price point of $42.00, and that's for 1.35 oz.. The formula feels a bit thick at first, so I like to spread it on the back of my hand to warm it up. As soon as I apply it though, it feels very light and blends really easily with my fingers. If I want more coverage in a certain area, I just dot on a bit more and blend away; it does so seamlessly. The look is smooth and very natural. It's not a full on foundation look. It is more of a natural weekend makeup look. I can just apply this, some bronzer, mascara, gloss and be good to go. I am using the shade Medium and it is a great match for my NC30 skin tone. Check out the BB Creams faves from my Makeup Wars friends.